The app then brings up 3D arrows to show clearly which direction you should be walking. The app may in future use a combination of AI and AR technologies, combined with your phone's camera to aid in real-time location tracking. 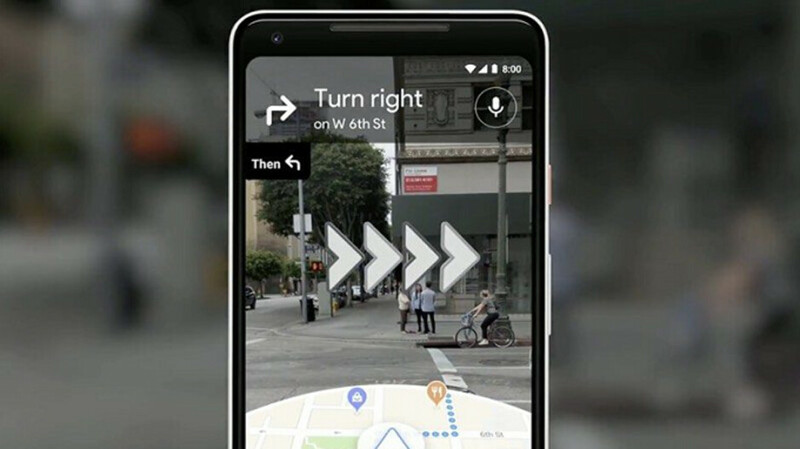 During last year's Google I/O, the company showed off the integration between Google Lens and Google Maps. Navigation with Augmented Reality is reportedly being pushed to Local Guides, a group of people that are community reviewers inside the Maps platform. "While it isn't likely to be your primary turn-by-turn option, it's a huge step in the right direction for Google Maps", Pierce said. We haven't heard much else since the feature was first talked up, but Google is now letting a select few testers see how AR navigation works in the real world. The real-time feature is however not meant to be on at all times, as it drains battery and the app even reminds the user to turn the feature off once it knows where to go. No dates have been set for making it widely available to Map users. Although the version the WSJ tested isn't final, it helps us get a better idea of what's coming up. After it has done this, it then creates directions for the user based on the location. Every year Google hosts an event for developers called Google I/O. The WSJ's David Pierce notes that the feature will likely end up on the AR glasses that many companies are now either working on or selling. Once done, the Google Maps will guide you.